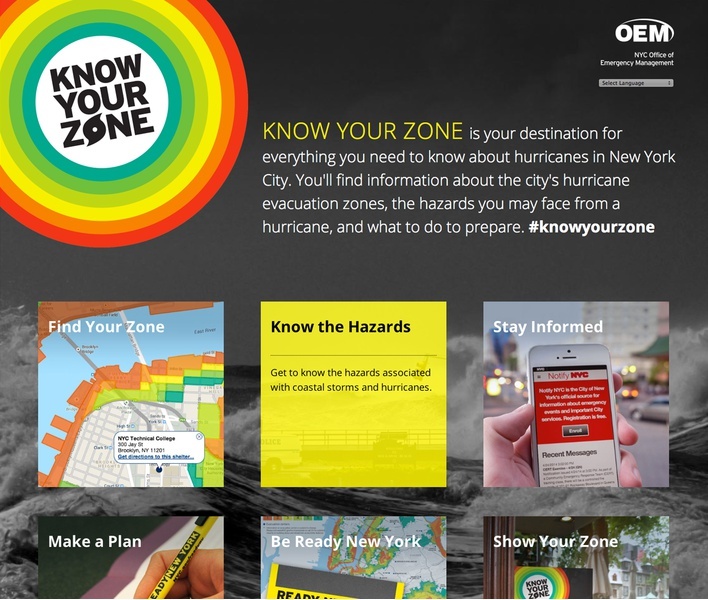 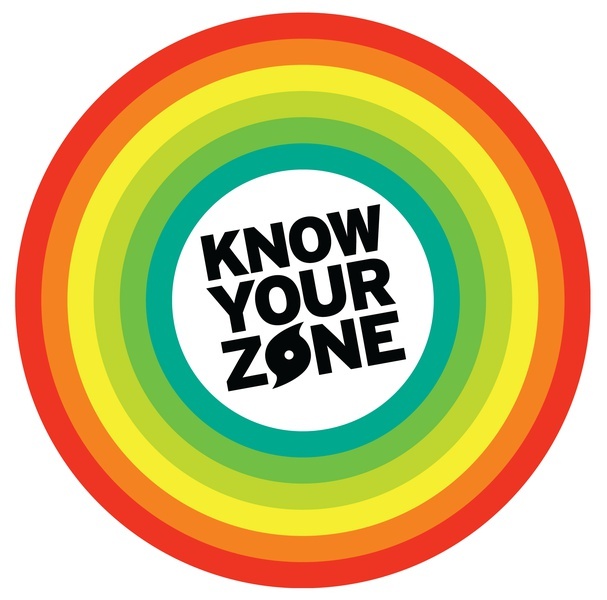 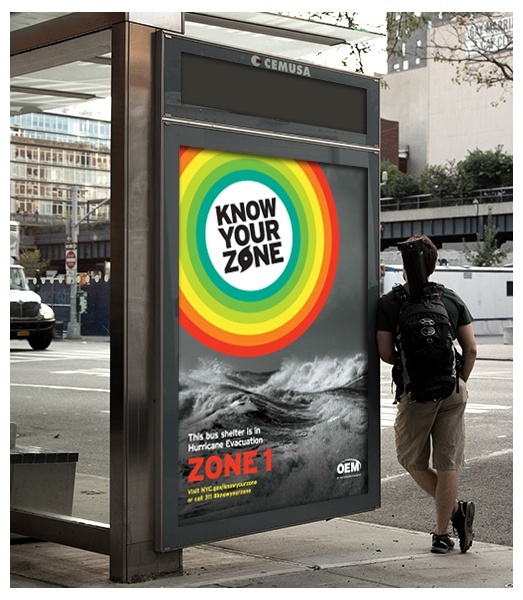 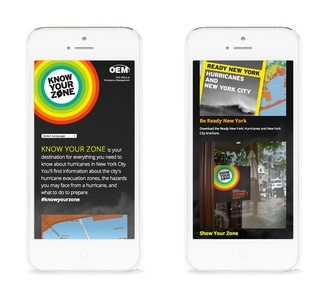 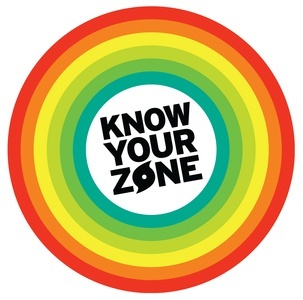 Spotted in NYC: the Know Your Zone campaign, designed by C&G Partners for longtime client NYC OEM (Office of Emergency Management) can now be seen citywide. The project was unveiled in time for Memorial Day and was featured in national news, local news, and Fast Co.Design, among others. 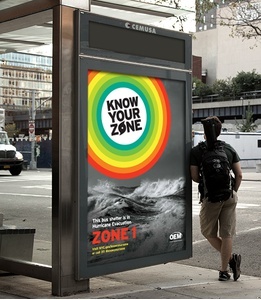 It can be seen on bus, subway, and ferry ads across the five boroughs; posters, placards and window stickers in communities; ads online and in newspapers; and a new website.